On March 25, 2019, the Eastern Band of Cherokee Indians entered into an agreement with Great Smoky Mountains National Park to allow traditional plant gathering by enrolled members of the tribe. This agreement covers the harvesting of sochan – also known as green-headed coneflower (Rudbeckia laciniata) – whose early spring leaves are a traditional food source for the Cherokee people. For thousands of years, the Cherokee gathered sochan and other plants from these mountains. This agreement is a first step toward restoring those gathering rights. Gathering is limited to enrolled members of the EBCI who have been issued a sochan permit. No other plants may be gathered at this time, and gathering is limited to Great Smoky Mountains National Park (not the Blue Ridge Parkway). Plant picking is illegal for the general public. Sochan gathering is by permit only. Under the new agreement, up to 36 permitted gatherers will be able to gather sochan in the Park. These gatherers went through a selection process with their community clubs and attended a training on March 25, 2019. They will be issued permits and collection bags for use in the Park. If you do not have a permit and official collection bags, you may not gather sochan on Park land. NPS staff need to monitor sochan harvesting in order to demonstrate the sustainability of the program. Any gathering of sochan in the Park outside of permit conditions will be subject to standard penalties for violation of Park rules. The detailed conditions of sochan harvest permits are summarized below. Again, these conditions only apply to individuals with permits. Following traditional practices permittees are authorized to gather sochan leaves, referred to as the “turkey foot” that are between 3 to 5 inches long. Sochan turkey foot leaves may be gathered by hand picking. Gatherers should take care to avoid disturbing/damaging belowground plant parts or uprooting plants. Permittees may be accompanied by family members or other EBCI members during gathering. Group sizes shall not exceed 6 people per permit. Permittees shall use only official collection bags issued by the EBCI Natural Resources Department to collect and transport sochan within the Park. A permittee may gather a maximum of 1 bushel (2,150 cubic inches) per week of sochan leaves. The official collection bag shall hold approximately 0.6 bushels. Permittees are authorized to gather up to 50 percent of the aboveground biomass (leaves) from individual sochan clumps. Repeated harvesting from individual sochan clumps in the same season shall be avoided. Harvesting activities may be conducted in areas within 328 feet (100 meters) of any official park road, trail, or along the border of the Park and the Qualla Boundary. All gathering activities must remain out of sight of areas such as visitor centers, major roads, parking lots, trailheads, campgrounds, and picnic areas when visitors are present. In addition, the following areas are off-limits to gathering: a) areas with saturated/mucky soils or standing water on the ground surface, b) research areas at Purchase Knob that contain sochan, c) and non-harvest zones identified under Section 9(6)(c). The sale or commercial use of sochan leaves gathered under this permit is prohibited. Permittees may use sochan gathered in the park for personal consumption or may share it with other EBCI members. All permittees will be required to submit weekly Sochan Gathering Reports to EBCI Natural Resources prior to 12pm on the Monday following the previous gathering week. All permittee reports must be complete and include all required information to be considered accepted by EBCI Natural Resources. Reports can be hand delivered to the EBCI Natural Resources Program Coordinator’s office or submitted to the EBCI Natural Resources drop-box located at the Tribal Utilities Building (1840 Paint Town Rd.). They may also be emailed to cherokeenaturalresources@gmail.com. The EBCI Natural Resources Program and Great Smoky Mountains National Park reserve the right to close areas to gathering throughout the season. Permittees must be available via email or phone to adapt to changing permit conditions as they may apply. All permittees must have their original permit in their possession while gathering and transporting sochan in Great Smoky Mountains National Park. EBCI Natural Resources reserves the right to revoke this permit if it is determined the permittee has violated permit conditions. The goal of this agreement is to honor Cherokee traditions while protecting plant populations long-term. An independent environmental assessment completed in 2018 found there would be no significant environmental impact from allowing tribal sochan gathering in the Park. In fact, Cherokee methods of gathering sochan were found to boost seed production. National Park Service staff will continue to monitor impacts as the agreement is implemented. For this reason, we require detailed location information from harvesters. This will allow NPS to monitor the areas being harvested and demonstrate the success and long-term sustainability of the program. Can I gather other plants in the Park? Except for apples, pears, and peaches, gathering of these species is limited to 1 pound per person per day. Climbing trees or using stools or ladders to gather fruit is prohibited. Gathering within 200 feet of nature trails or research areas is prohibited. These fruits, nuts, and mushrooms may be gathered by any Park visitor, with no permit required. Only EBCI enrolled members with a permit and official collection bags may gather sochan. Mar. 27, 2019 – Back to roots: Park and Cherokee tribe sign agreement for sochan gathering. The Daily Times. Mar. 25, 2019 – Park, Tribe sign sochan agreement. Cherokee One Feather. Mar.  25, 2019 – Great Smokies approves historic sochan collecting agreement with Eastern Band of Cherokee. Asheville Citizen-Times. Mar. 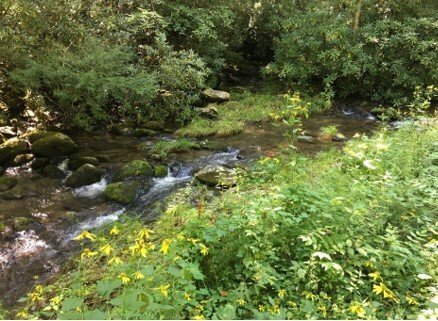 25, 2019 – Cherokee thankful for agreement to harvest sochan in Smokies. WBIR.